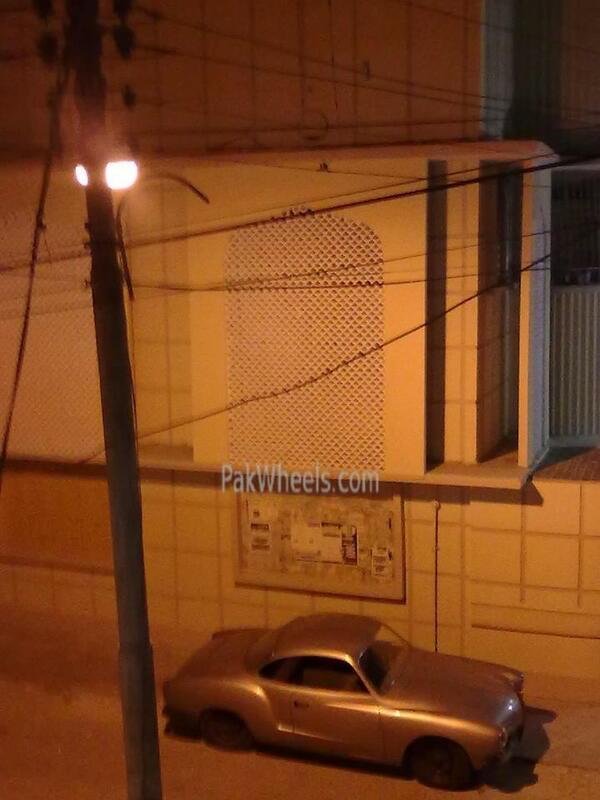 whats the story on the silver ghia? is it for sale? mustapha.. why do you want to replace the engine........its good and strong and can be easily done up.... i am still sad about having to sell mine off. <o:smarttagtype namespaceuri="urn:schemas-microsoft-com<img src=" images="" smilies="" smiley-surprised.gif="" border="0" alt="" title="Surprised" smilieid="25" class="inlineimg"></o:smarttagtype>There is a correction to my earlier post regarding the <st1:state w:st="on"><st1:place w:st="on">Dauphine</st1:place></st1:state> (marked as ‘G’ under the hood which I guess goes for ‘Gordini’) spotted. It’s 65 & not 55’s. Interior is complete with all the cranks, door levers, panels, dash is complete as well. As for the exterior, only assemblies for the rear break lights/turn signals but the covers are not available. Reverse light (which goes between the number plate). Rear Door (both) Grills/Vents for passing the air in to the engine compartment. Head Lights are missing but can be done by checking the after market. Trimmers (on both the sides) are along the body line. Missing rear view or side view mirrors. Missing Front and Rear Bumpers but the mounts are intact. Missing Front Turn Signals along with the assemblies. He is asking 75000 which is too much for this frenchie. Crack ‘em up to some bargain. Saleem’s the name and you can call him at 0300-28-783-15. Good Look to the person who’ll go for it and do share the status if any one grabs it. Going through wikipedia, I had a laugh reading about its low performance and poor handling and reliability. It kind of reminds me of the King Midget, of which someone said "It's so ugly it's cute". Is this car so bad that it's special? It's easy on the eyes at least, looking like the typical boiled egg of that era of French cars. 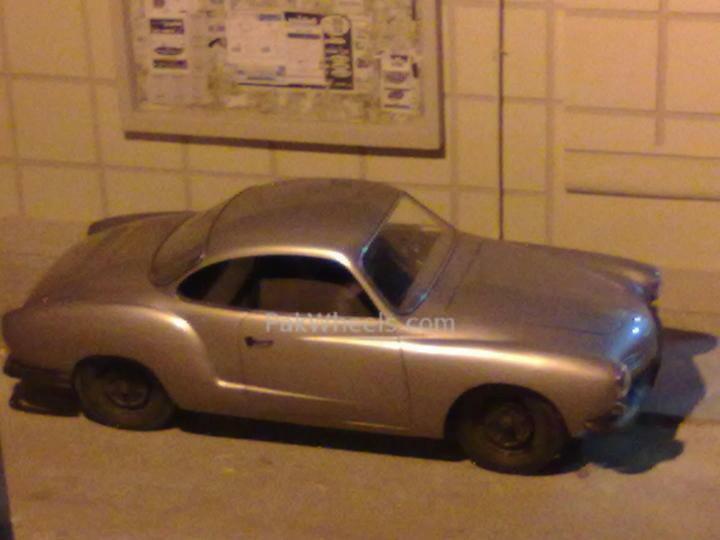 On a more personal note, it would be interesting if there's an R8 Gordini (the Dauphine's "daughter") in Pakistan somewhere. I've seen a few here, especially during the Le Mans races, and it's pretty special to look at and hear running around. @Sami, lol....agreed...that's the reason i posted it earlier that it's slow but still a classic. After all, when a car is among the worst 50 cars, even this sometimes matters to those who would still love restoring it. The best part is, people started visiting Saleem already:) and that 'G' mentioned on the engine says 'Gordini' as stated by the owner. Dear Storm & Neurosurgeon! The current engine in my car is not original, that is why I want to make a swap. The new engine will be up to the time, & may be able to smoke out a few chics out of her way. One engine I like very much is Toyota 1JZ 2.5 litre 6cyl Twin Turbo (280hp), but I just think, it may not going to suite under the hood. Plz advice Toyota 1JZ, Merc M103 (3 liter) or Merc M104. Expert advice needed. Other experts can also say! I'd try to get back to the original spec engine if I were you. The body, suspension and braking systems were designed for the level of power and you'll probably find it less of a trouble installing original parts as well. If you're going for crazy power, please modify the above mentioned parts accordingly. I have no choice but to concur with @storm as he's the resident Merc guru, the M104 family would be wonderful. If you go the diesel route, one of the 5 cylinder or 6 cylinder TDs might catch your fancy. They're pretty much indestructible and can be tweaked to produce fairly respectable power with good fuel economy. the toyota JZ engines are a VERY bad idea. i think Sami_voodoo is right in also suggesting one of MBs Diesels as they really are bulletproof (specially without the turbos). if it was me i'd still go for an M104 as it is an unbelievable powerplant. any more power and you'll be getting yourself in trouble (you should still plan on upgrading the brakes etc). "old race cars cannot be matched",.. i've said it before and i'll say it again! and were u driving a merc 115 while taking the pic of that impala ???? 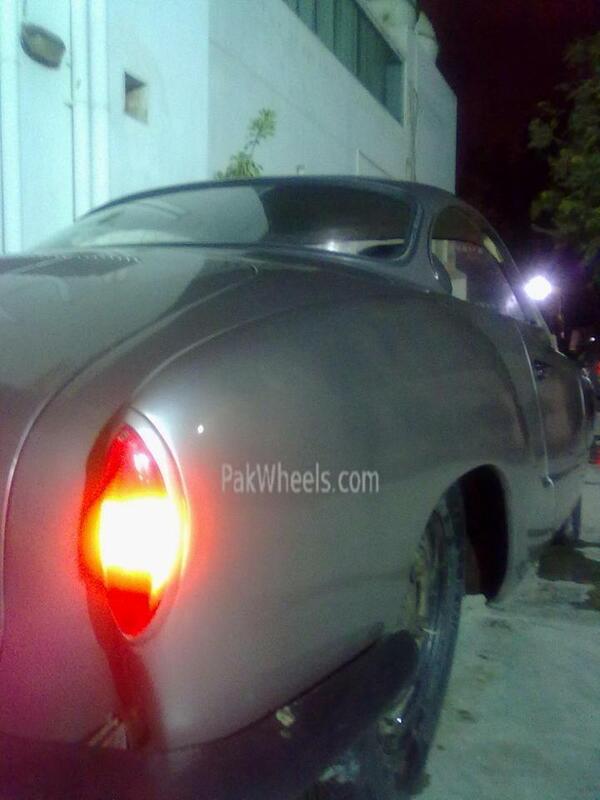 Thanks Wasif but the ghia is not for sale. Hum been thinking about the engine transplant for the w111. Now what you need is an inline 6... may I say almost the best balanced engines out there. The reason for the scrapping by most manufacturers is teh packaging constraints and not the engines per se. The engine should not be too powerful. The W111 had a swing axle rear.....likely to land you in trouble when pushing along and teh brakes although ATE discs are a bit iffy... so an inline 6 and the capacity/ power to be as low as possible. We then come down to the 2.5 litre engines or the 2.8 litre engines. Should be carburettored as the electronics will either defeat your pocket or electrician or both. @neurosurgeon: what ratio is your Z diff? 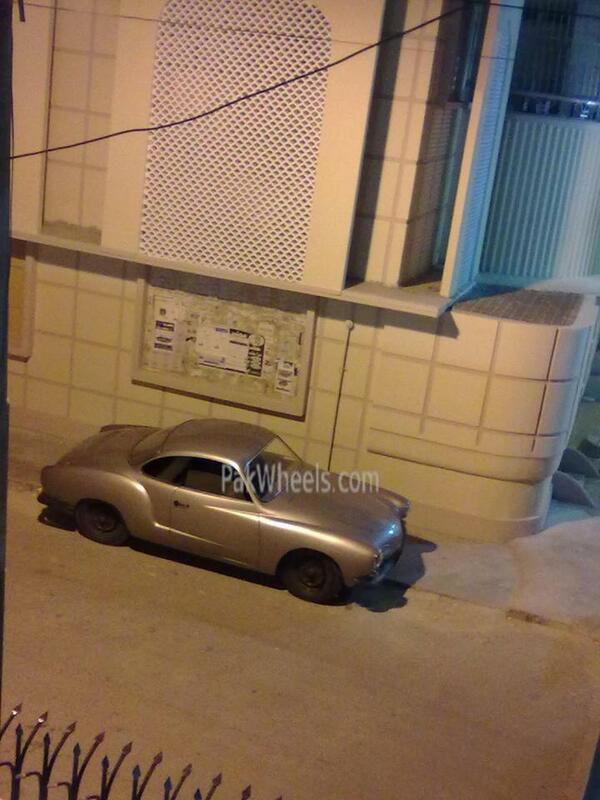 Are you aware of a Red Renault 5 in karachi? Guys post pics of your current restoration projects this thread is going very slow.